Being blacklisted can have a devastating effect on your life, but there are ways of getting vehicle finance if you are blacklisted. Being blacklisted means that you have a bad credit record and the result is that it is hard to buy anything on credit or even apply for finance. If you are blacklisted, you may have tried unsuccessfully to buy a new car. 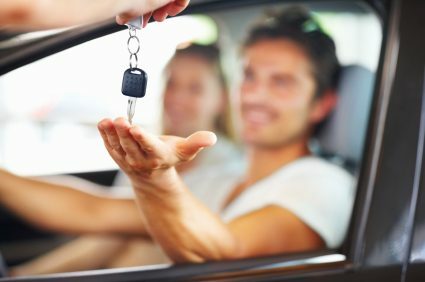 Unfortunately, if you are blacklisted, chances are that you need finance and getting yourself a car is a necessary part of getting back financial control of your life. It can be a horrible catch-22 situation, but if you follow these simple steps, you could be driving a car of your own before the end of the week. Don’t despair. Did you know that 25% of South Africans are on the ITC blacklist? People are often blacklisted for reasons beyond their control and being blacklisted is nothing to be ashamed of. Contact a car dealership that does not perform credit checks. Earn-a-car is a car dealership that specialises in helping people that are blacklisted buy cars of their own. Get your paperwork together. It is easy to apply for a car at Earn-a-car, simply bring a valid driver’s licence, proof of your ID, three months original bank statements, a recent payslip or proof of income, and proof of residency. Make sure you have a deposit of roughly R15 000, or 20% of the value of the car that you want to buy. Be able to afford monthly payments of R2 500. This includes accident cover, a tracking system and accident support. Provided you do not have a credit record, Earn-a-car you can we can help you get finance for a new car if you follow these easy steps. Contact Earn-a-car to find out how we can help you get vehicle finance even if you are blacklisted.